After the shock that was Windows 8, and the horror that is becoming Windows 10. 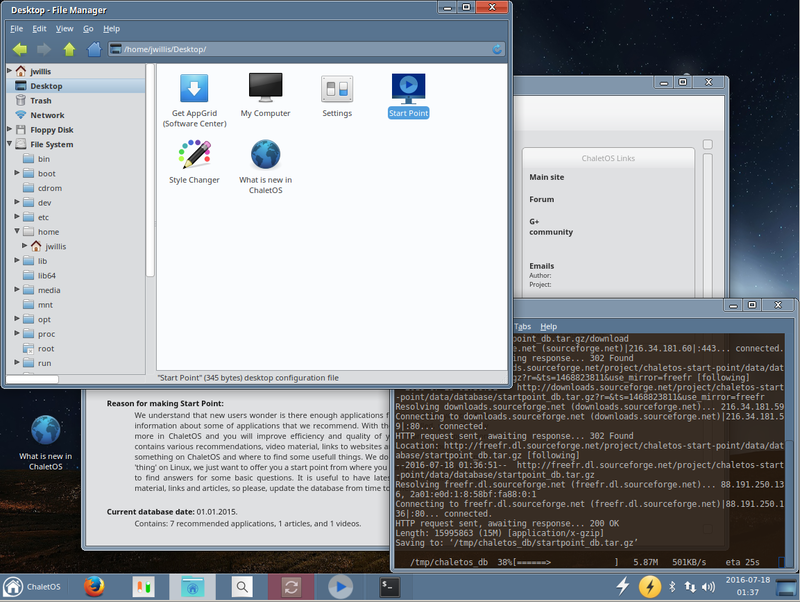 I started looking around, and found Mate, and now ChaletOS.. which seems a whole lot more like the best of Windows 7 on top of Debian and Ubuntu. I'm an OmniOS kind of guy, raised on CP/M, DOS, Redhat, Win95, OS9, OSX and so on.. but they all seem to converge in a way.. its when companies try to differentiate and diverge that they pull out the Claws and Fangs and make me scan for an Exit sign. -- I don't want to be their next Snackeroo... keep yur paws off my wallet please. ChaletOS has a catchy name, and uses Emerald Icons ( lol ) but its happy to run on top of Xfce and Gnome3 and Gnome2.. it just seems to chill on all the territorial rhetoric. And that makes it Awesome. The usual, familar popular "alternative apps" are baked into the default install, Firefox, VLC, GIMP, lots of audio video media players and Appstore like Software sources. But it doesn't hide the command line, when it does things in the background it pops up a cmdline window and shows you whats going on. Paired with VMware or Virtual Box, legacy Windows apps can even be run OSX Bootcamp style side by side. This is Linux kernel 4.4 and Ubuntu 16 LTS on Debian 8.. if that really matters.. suffice it to say.. it's modern.. and it has current creds. Its styles are not all flat and lifeless, they ressemble a softened three-dee quality without looking Embossed and stitched into the carpet. There is a 64 bit and 32 bit version. This is what I would think Windows 7 would have evolved into "naturally" had it not been done in on the Senate floor on the Ides of Windows 8 March. Its smooth fast and just "comfortable".